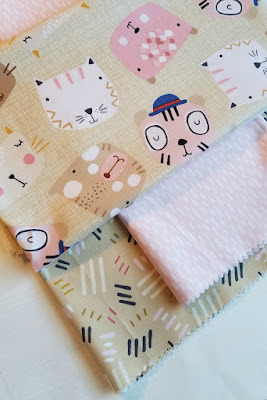 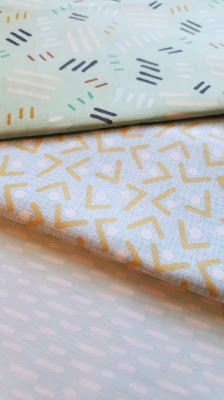 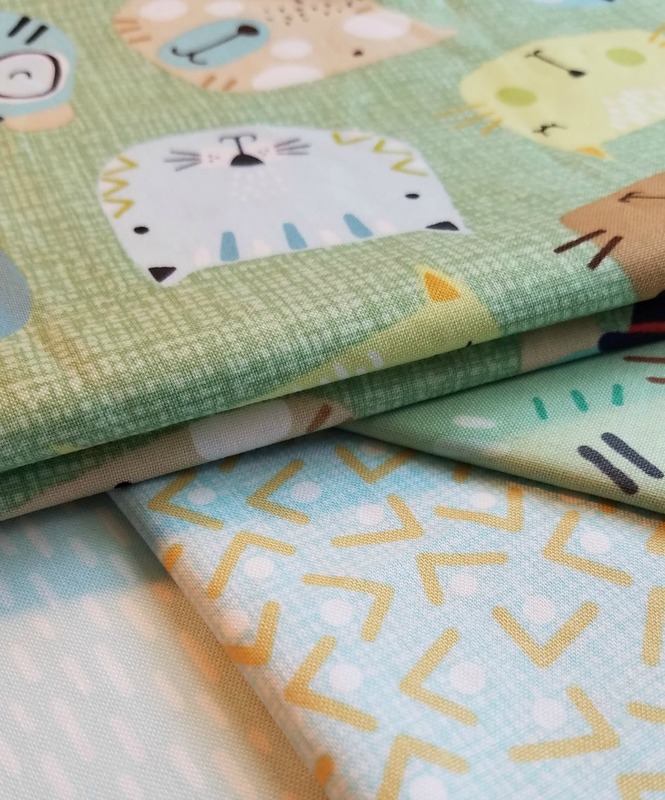 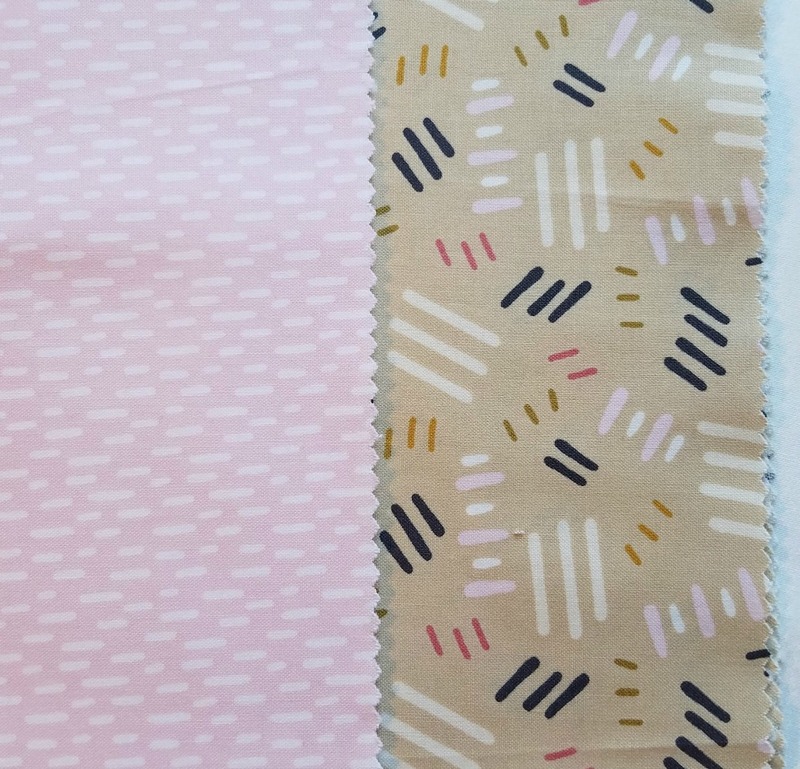 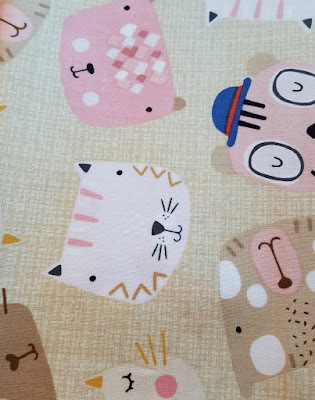 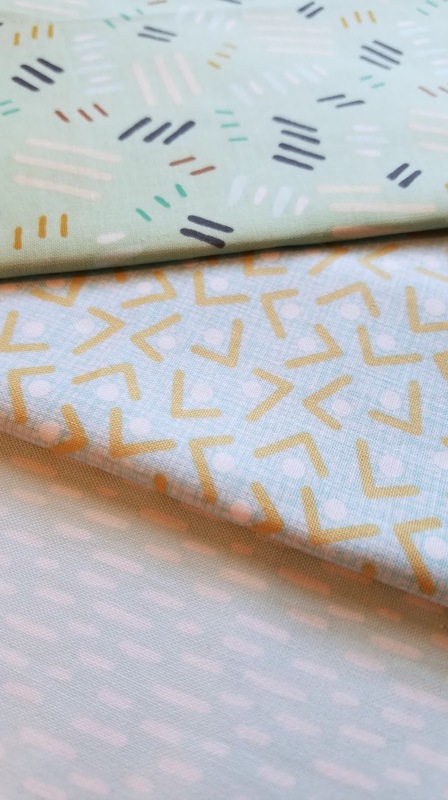 More fast and fun baby quilt fabric coming your way! 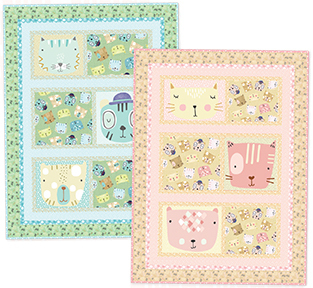 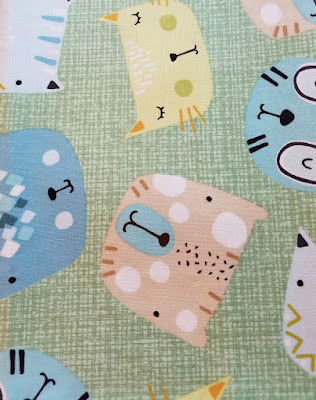 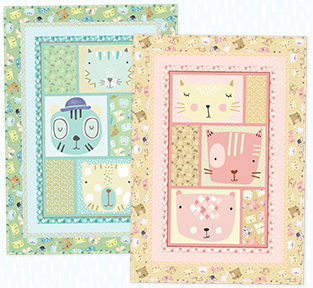 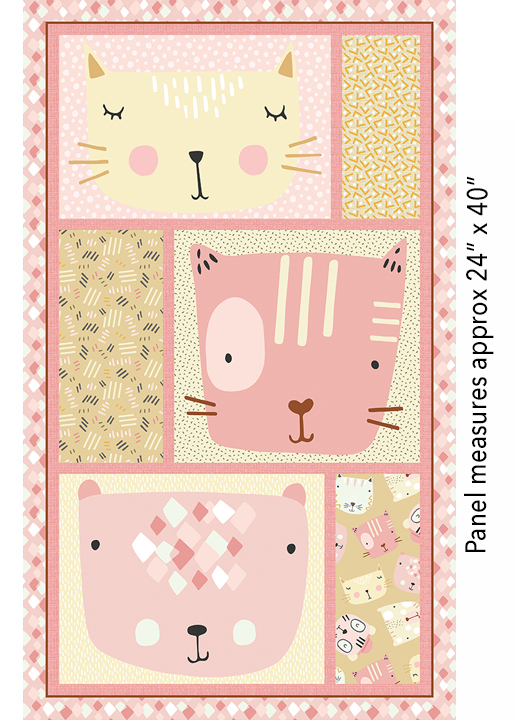 The Little Friends collection by Sally Payne features whimsical cats and dogs just waiting to be hugged! 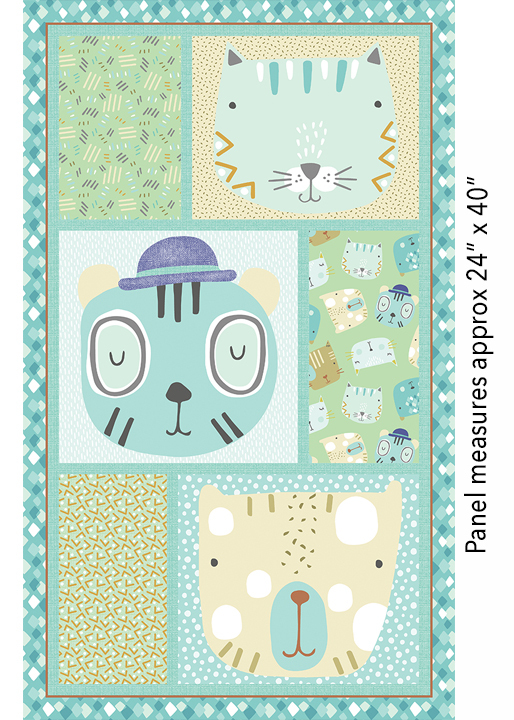 The panels make easy quilt centers, or can be cut and stitched into pillows. 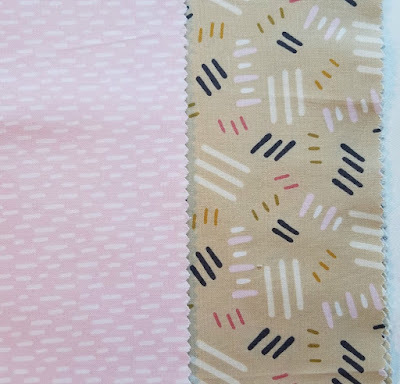 The collection comes in greens/aquas and pinks/creams. 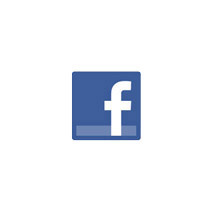 Click here to see the entire Little Friends collection. 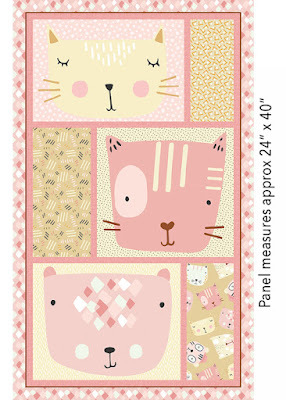 Awwww... this is such a sweet collection.